I have never been very good at doing braids or making my hair look amazing with all of these twists and turns. 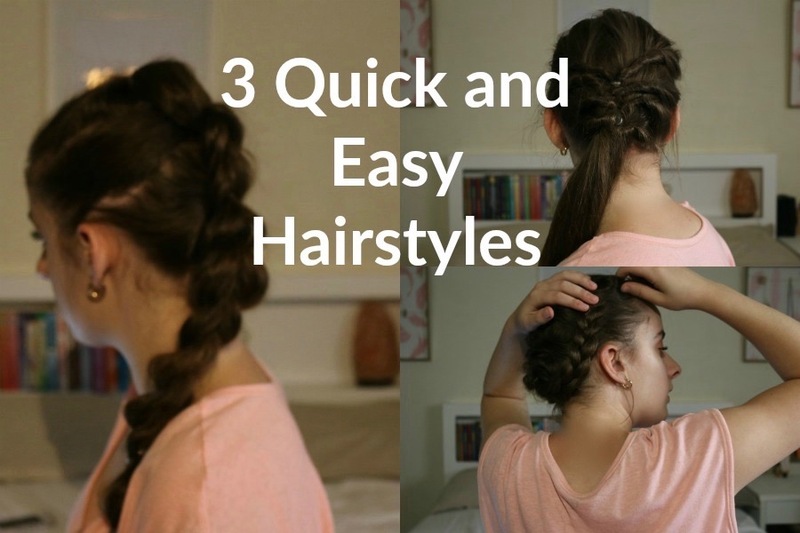 I found SUPER easy ways to do your hair so that it looks full and amazing. Pull the top section of your hair into a ponytail leaving the bottom half of your hair down. 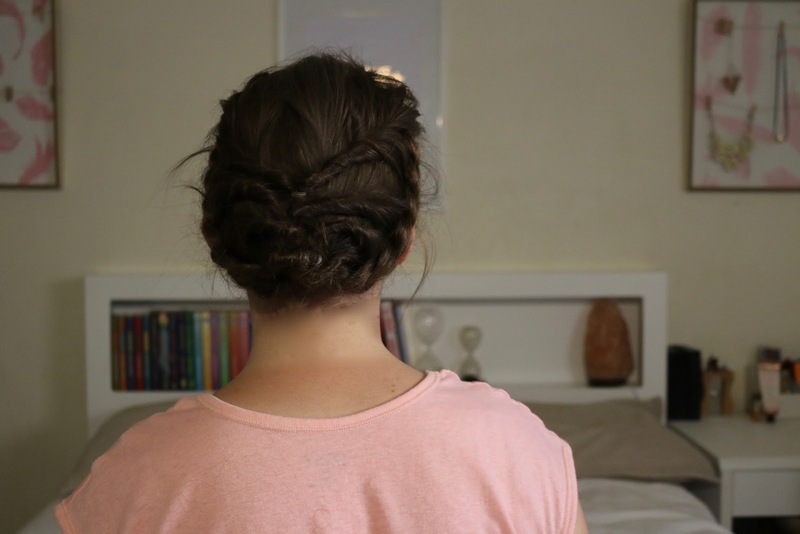 Then flip your ponytail and grab two sections underneath your ponytail from each side of your head (making sure to leave the middle section) and putting those two pieces into another ponytail. So it's going to look a little something like this. Section the top ponytail into two pieces and put them underneath the second ponytail, then secure it with an elastic band. As you go down grab loose hair and add it into the hairstyle right before you tie the elastic band to give it a braid like affect. Another example of the last step is this photo once you have got your four pieces bring them under the ponytail and secure all four pieces together with a elastic band. This is how it should look when you've completed the 'braiding part'. To do the tail of the ponytail all you have to do is split the top ponytail into two then tie it underneath the ponytail bellow and repeat. 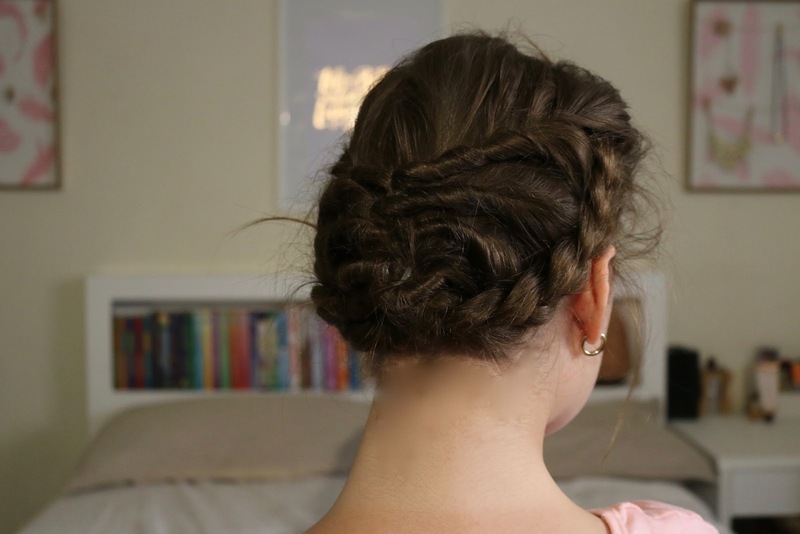 Now all you have to do is fan out the pull through braid, I struggle with getting a full plait effect when I do just a normal braid so by doing this hairstyle it looks like I have so much volume and hair. Grab two pieces of hair from both sides of your head and tie them together in the middle of the back of your head. Pull the ponytail through a gap between the loose hair and the tied hair, I did this twice to give it a nice twisted look. Grab another two sections of hair and tie it in the back of your head right under the first twist. Twist that section of hair just like you did the first one. To create the twist I put my two fingers through the bottom of the two sectioned hair pieces and from there I use my two fingers to grab the ponytail and thread it through the hole I just made with my fingers. Repeat it one more time until you have a low ponytail. From the last hairstyle split the ponytail into two sections and plait each one. Wrap each one around both sides of your head and pin them into place. The right hairdo does wonders for the way you feel about yourself, so by consulting an expert Hair salon Manchester, you can select from a number of options that work for you, giving you an extra lift.